Due to evolving security policies, the Department of Defense (DoD) was no longer able to use their web-based systems to produce transcripts, address student information management from an enterprise perspective, or manage their human capital and talent. 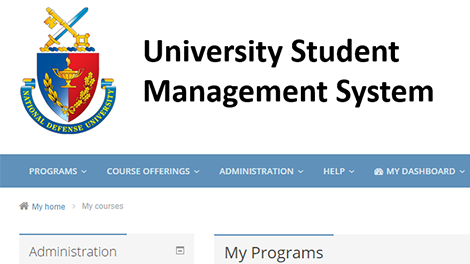 As a solution, PowerTrain developed the University Student Management System (USMS) for NDU. Developed as part of the USALearning Program and hosted in the USALearning Knowledge Portal, PowerTrain provides a secure, web-based solution that supports all programs at the university, from conference and special events to advanced degrees. 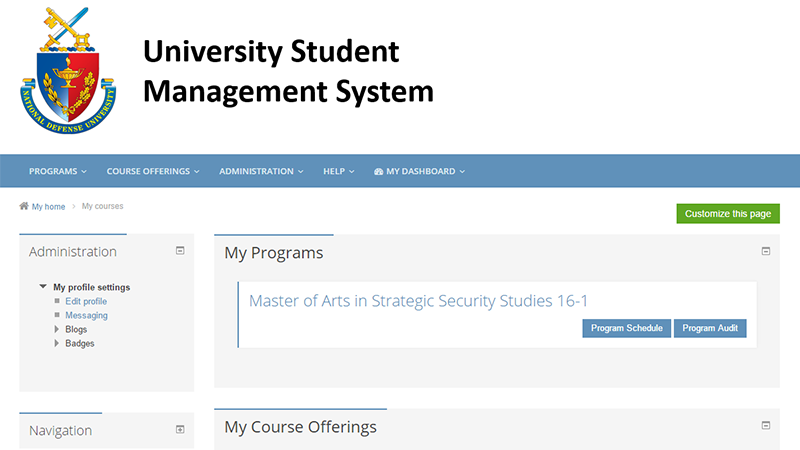 The user profile of the USMS has been customized to collect student data including previous assignments and postings, previous education, levels of expertise in certain areas, as well as other student-related data. 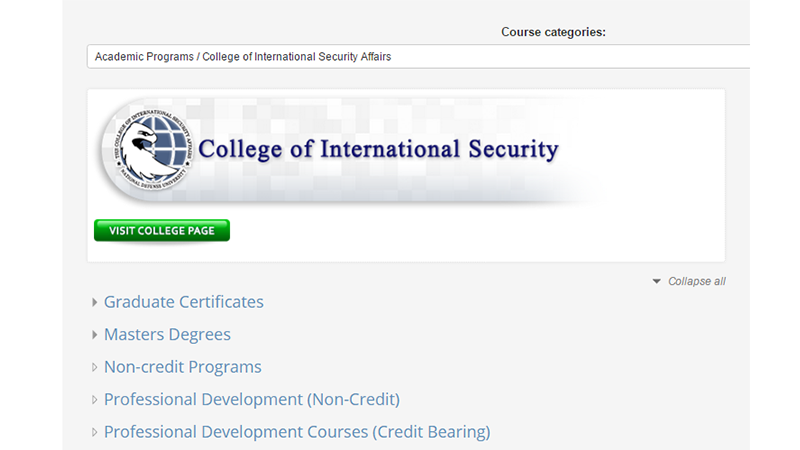 Students are enrolled in programs and their related course offerings. 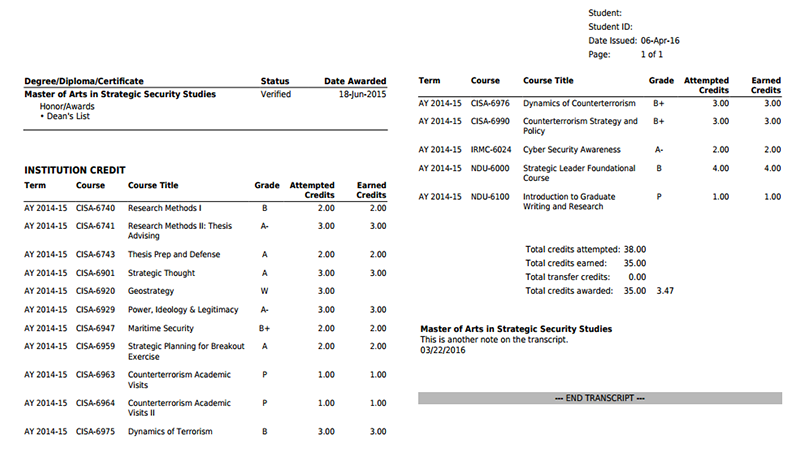 Grades are uploaded from the university’s LMS, and transcripts can be generated. Recently, additional functionality was added to allow the university to create multiple course offerings at one time, enroll students in multiple courses at one time, and bulk-upload grades for many course offerings at one time. The USMS allows the university to align educational performance, course, and program completion data with individual talent assets — permitting DoD leadership to “mine their talent pool” and identify the best human capital resource for a particular assignment.